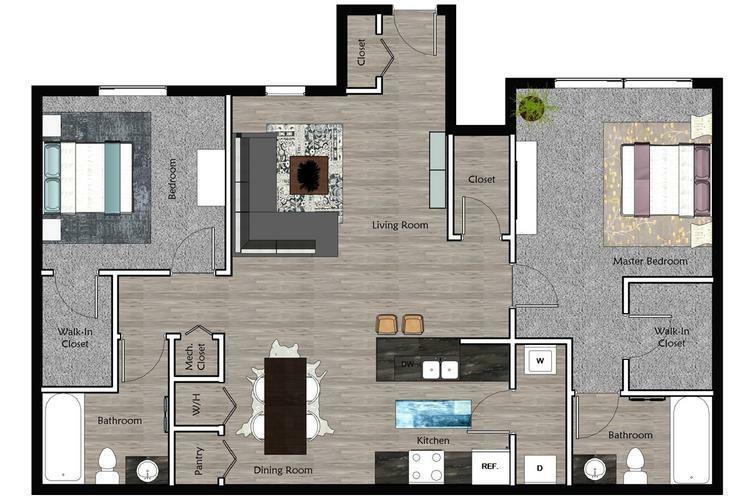 This comfortable 2 bedroom floor plan is our very popular floor plan that includes two walk-in closets and two full bathrooms. The living space is open concept with a breakfast bar in the kitchen and perfect for entertaining. Skip the laundromat and enjoy your private laundry room with full-size washer and dryer.